Fun & Fashionable. This lovely handmade necklace comes from Lisa Greenhaw. Lisa likes to mix metals for a fun, industrial, yet feminine design. 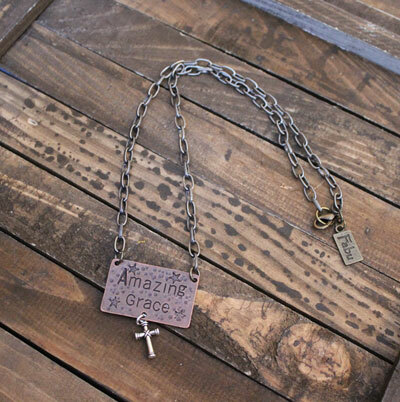 This particular necklace has a brushed metal chain and a copper tag that has the words AMAZING GRACE stamped onto it. 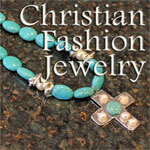 Then she has added a lovely pewter cross to hang from the copper tag. The links are brass. This piece can be adjusted up to 20".